This week, as part of our Harry Potter theme, we'll dive into the world JK Rowling created when she penned the Harry Potter books. Even though this is a fictional world, there are oodles of sources connected to it: the books, movies, websites, articles. We will combine these motley sources to practice researching one focused topic. 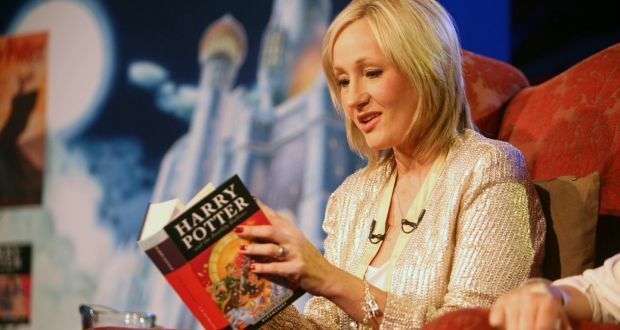 JK Rowling: the ultimate external source on Harry Potter. How does researching help us become experts in a given subject? How do we use external sources to give credence to our own ideas? Students will understand that researching gives us greater knowledge on a given subject by offering multiple perspectives from credible sources. Students will understand that external sources are crucial to supporting our original ideas because they bring the weight of other experts and allow us to make connections. discuss movie: what stuck with you? what do you want to know more about?